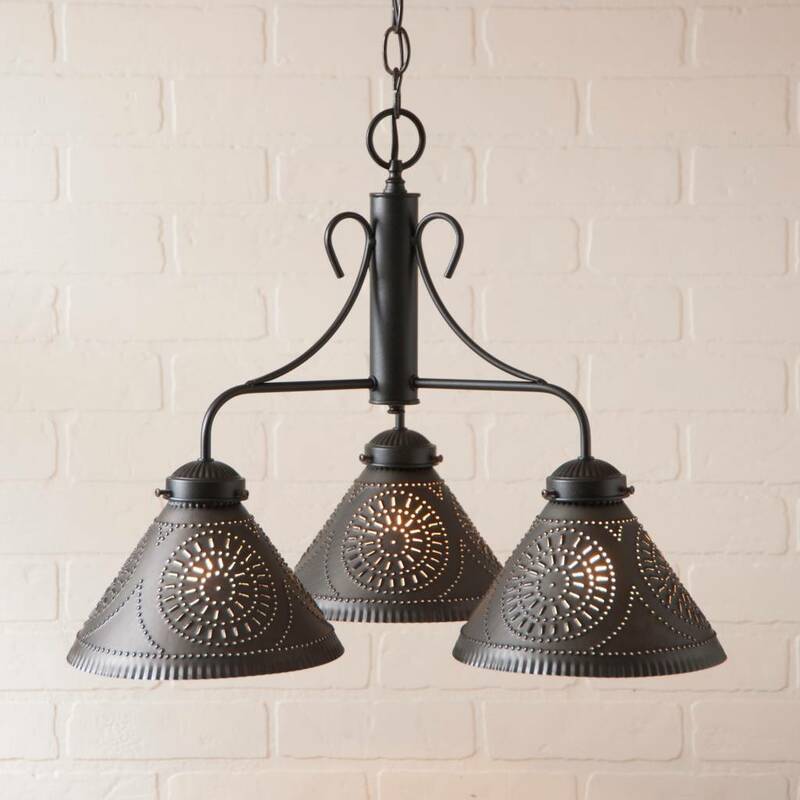 The Barrington Chandelier is a simple & elegant light for area of your home. Perfect for the dining room or breakfast nook, this chandelier also works well for in the game room. Black powder coating finish & is accented with Kettle Black finished shades. Direct wired with three standard sockets, 60 watts max per socket. Includes 3 feet of chain, 7 feet of wire, and a matching ceiling plate kit. Additional chain may be ordered. Handcrafted in Pennsylvania. This light is UL listed and has a 5 year guarantee. 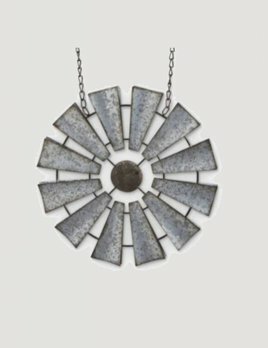 Thank you for choosing to shop with us and considering our Punched Tin Chandeliers and Ceiling Lights! 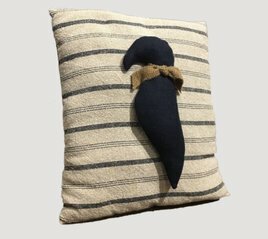 You'll love this Primitive Handmade Crow Pillow. Made of quality fabrics and hand-stitched you won't find this pillow in any big box store. This pillow is sure to be an heirloom and fit right in with your farmhouse style. 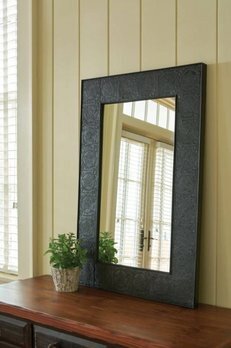 The Embossed Star Mirror is a beautifully crafted mirror featuring an embossed star border with rolled edge details. Key hooks in back allow the mirror to be hung vertically or horizontally. The perfect size for a guest bath or an entryway. 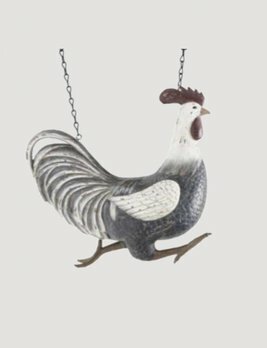 Add the Gray & White Rooster Sign to your farmhouse style! This farm chicken will appear as if he's running down a path a mid-air. Arrow can be purchased separately.